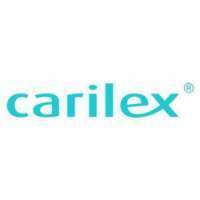 Carilex Medical ANZ is the exclusive distributor for Carilex Products in Australia and New Zealand. Carilex has established itself as a global leader in the wound care industry. Carilex Medical ANZ in Castle Hill, provides the best pressure wound care and prevention devices to patients and caregivers all over the world. Carilex has since established itself as a pioneering and innovative company, using state-of-the- art technology and focusing on excellent user experience to create the finest range of proven wound care management products. Our expertise in research and development, manufacturing, and quality control and assurance allow us to provide unparalleled products in wound care management in the form of comprehensive product lines proven to prevent and treat of pressure sores and wound. Our strength is in our people and their dedication to and belief in the excellence of the Carilex product. It is evident in our continuous and rigorous devotion to providing the finest medical devices. Together with commitment and constant innovation, Carilex is driven forward by our motto -CARING MAKES THE DIFFERENCE. Contact us at Carilex Medical ANZ today! It is evident in our continuous and rigorous devotion to providing the finest medical devices. Together with commitment and constant innovation, Carilex is driven forward by our motto - CARING MAKES THE DIFFERENCE.